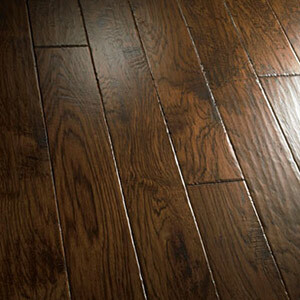 Bubba Hickory Series Wood Flooring is a beautiful hand carved wood flooring collection that will look amazing in any area. 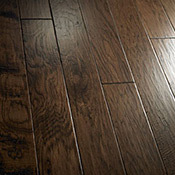 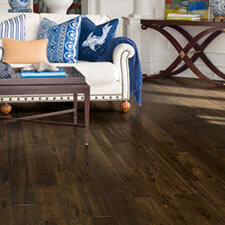 Hickory Series Bubba Wood Flooring come in 6 beautiful plank color options. 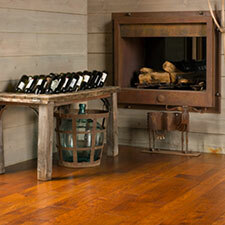 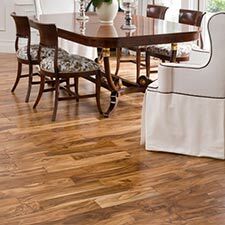 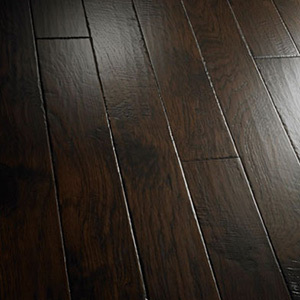 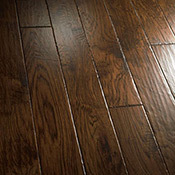 Bubba Hickory Series Hardwood Flooring features 5 in wide planks with a thickness of 3/8 in. Bubba Hickory Series Wood Flooring is made with a super durable and long lasting Valspar Aluminum Oxide Finish. 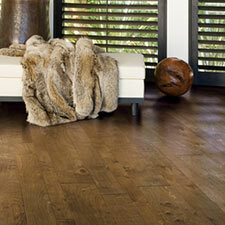 This 8 coat Valspar Finish works to protect your floor from scratches even in high traffic areas. The Valspar Aluminum Oxide Finish will not yellowing over time due to aging. Bubba's Valspar Finish has built in UV protection, which works to prevent sun bleaching. 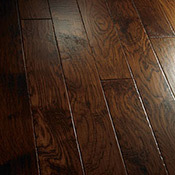 Bubba Engineered Hardwood Flooring is a very stable wood flooring option. Engineered Wood Floors can be installed on, above, or below grade level. 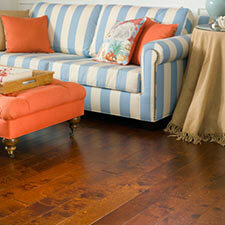 Bubba Engineered Floors are made to last and come with a lifetime structure warranty. 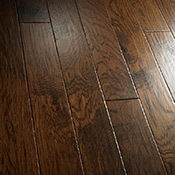 This Bubba Hardwood Floor is made from hickory wood, one of the hardest woods used for flooring in North America. 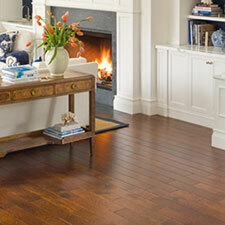 Hickory wood received a score of 1820 on the Janka Hardness Test. 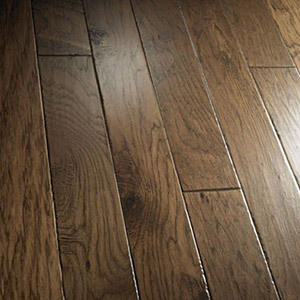 This Wood flooring collection, like most hickory flooring, has beautiful surface grains that will add character to any area.